Shakira's "Empire" is the week's top new entry on the Hot 100 at #58. It edges out Lady Gaga's "G.U.Y.," which is the week's second highest new entry at #76. 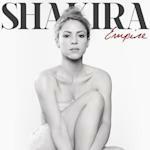 "Empire" is the second single from "Shakira," which enters The Billboard 200 at #2 this week. The lead single, "Can't Remember To Forget You" (featuring Rihanna), rebounds from #34 to #32 this week. It peaked at #15. "G.U.Y." is vying to become the third top 20 hit from Gaga's "ARTPOP" album. The album's first single, "Applause," reached #4. The follow-up, "Do What U Want" (featuring R. Kelly), peaked at #13. This week's big chart news is Pharrell Williams's "Happy" logging its sixth week at #1. That's the longest run at #1 for a song that an individual artist wrote, produced and performed all by himself, with no credited collaborators, in nearly seven years. I covered this, and the rest of the top 10 action, in a Chart Watch blog that we posted Wednesday. If you missed it, here's a link. This blog is a look at key movers and debuts below the top 10. 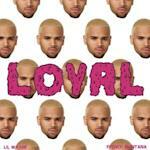 "Loyal" by Chris Brown featuring Lil Wayne & French Montana or Too $hort jumps from #31 to #14 in its 11th week … Avicii's "Hey Brother" jumps from #19 to #16 in its 17th week … "#Selfie" by the Chainsmokers drops from #16 to #18 in its fifth week. Digital sales rank: #9 (92K). 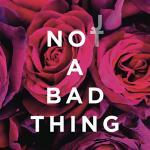 Justin Timberlake's "Not A Bad Thing" jumps from #27 to #20 in its fifth week. Timberlake first cracked the top 20 with *NSYNC in March 1998 with "I Want You Back." He first cracked the top 20 on his own in October 2002 with "Like I Love You" … "This Is How We Roll" by Florida Georgia Line featuring Luke Bryan holds at #26 in its eighth week. Digital sales rank #10 (77K). The song holds at #1 on Hot Country Songs for the third week. This marks the first time in the chart's 70-year old history that a collaboration by a duo and a solo artist has spent three or more weeks on top. "If You See Him/If You See Her" by Reba McEntire/Brooks & Dunn spent two weeks on top in 1998. Bryan has a second song moving up this week's Hot 100. "Play It Again" jumps from #53 to #40 in its third week. "La La La" by Naughty Boy featuring Sam Smith jumps from #39 to #31 in its sixth week. The song hit #1 on the U.K.'s Official Singles Chart in June … Jerrod Niemann's "Drink To That All Night" jumps from #40 to #34 in its 13th week. Niemann's "High Noon" enters The Billboard 200 at #18 this week … Christina Perri's "Human" jumps from #58 to #49 in its eighth week. Perri's sophomore album, "Head Or Heart," is expected to enter The Billboard 200 around #3 next week, with first-week sales of 40K. "Do You Want To Build A Snowman?" by Kristen Bell, Agatha Lee Monn & Katie Lopez jumps from #62 to #51 in its 14th week. This is its highest ranking to date. The timing is strange, as we move into spring and start thinking of summer … Neon Trees's "Sleeping With A Friend" jumps from #78 to #56 in its fifth week … Miranda Lambert's "Automatic" jumps from #79 to #63 in its sixth week. This matches its highest ranking to date … Brett Eldredge's "Beat Of The Music" jumps from #75 to #64 in its eighth week … "Fancy" by Iggy Azalea featuring Charli XCX jumps from #83 to #70 in its fourth week … "Headlights" by Eminem featuring Nate Ruess jumps from #81 to #73 in its third week … "Move That Doh" by Future featuring Pharrell, Pusha T and Casino leaps from #95 to #75 in its third week. 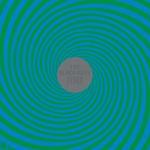 The Black Keys's "Fever" debuts at #77. It's the first chart hit from their eighth studio album, "Turn Blue," which is due May 12 … Justin Moore's "Lettin' The Night Roll" jumps from #89 to #80 in its sixth week … "Wild Wild Love" by Pitbull featuring G.R.L. jumps from #93 to #82 in its fifth week. The song has climbed as high as #81. Rixton's "Me And My Broken Heart" debuts at #87. The group is fronted by Jake Roche, 21, an English soap opera actor … Ellie Goulding's "Beating Heart" jumps from #98 to #88 in its second week … "John Doe" by B.o.B featuring Priscilla debuts at #89. It's the second Hot 100 single from B.o.B. 's third studio album, "Underground Luxury." Jake Owen's "Beachin'" debuts at #94. It's the second Hot 100 hit from his fourth studio album, "Days Of Gold" … Tyler Farr's "Whiskey In My Water" debuts at #98. It's from his first studio album, "Redneck Crazy." The title track from that album reached #29 … Sara Evans's "Slow Me Down" re-enters the chart at #100. It debuted at #89 two weeks ago. To My Readers: Yahoo has restored the separate Chart Watch folder, so Chart Watch blogs are no longer just part of the Yahoo Music blog. I hope this makes it easier for you to find them.